A Positive Approach to Kauri - He Huarahi Pai ki te Kauri. Join us in this important discussion. 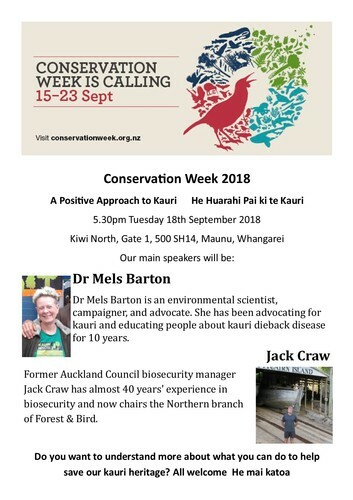 Hear speakers Dr Mel Bartons, environmental scientist, and Jack Craw, former biosecurity manager for Auckland Council and now chair of the Northland branch of Forest and Bird.